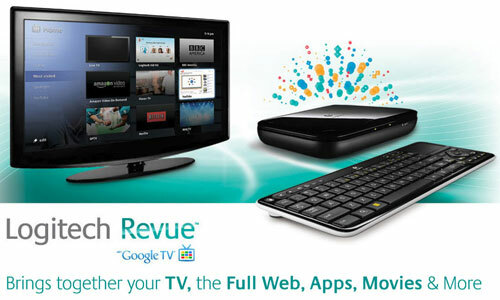 In the fourth quarter of 2010, Logitech International released the Revue, a TV set-top box designed to integrate cable/satellite TV with internet content. The Revue Google search bar would be able to find any desired content from any provider and project that content to the TV screen. The Revue was manufactured by contract manufacturers, not Logitech itself. In the arrangement with the contract manufacturers, Logitech authorized the manufacturers to purchase about $11 million of parts before production of the Revue began. Logitech was gearing up for high sales during the 2010 holiday season. During that holiday season, sales of Revue were much less than Logitech anticipated. In the fourth quarter of 2010, 165,000 Revues were sold, far less than the 350,000 units Logitech expected to sell. The Revue’s high price, the blocking of content from Hulu, CBS, and ABC, and numerous software bugs doomed the Revue to be discontinued less than one year after its arrival. Logitech had millions of dollars invested in excess inventory of Revue component parts. Despite knowing that the component parts in inventory would not be used in manufacturing other Logitech parts and the market value of those components was minimal, the lower-of-cost-or-market inventory write-down that Logitech did make fell far short of the actual decline in market value. In 2016, the U.S. Securities and Exchange Commission (SEC) alleged that some of Logitech’s executives and accounting staff committed accounting fraud. The SEC asserted that the improper inventory accounting contributed to an overstatement of Logitech’s operating income in 2011 of more than 27%, or $30.7 million. Logitech paid a fine of $7.5 million to settle with the SEC over this improper inventory accounting and two other accounting issues. Individuals from Logitech including the former CFO paid fines of $25,000 – $50,000. There is no indication that Logitech staff accountants knew of the improper inventory accounting during 2010 – 2011. However, assume that one Logitech staff accountant did indeed know of the issue and answer the following questions. What steps should the staff accountant have taken once aware of the inventory issue? Why might the staff accountant have remained silent even if aware of the inventory issue? What might have happened to the staff accountant if the SEC had discovered that the staff accountant knew of the inventory issue at the time but remained silent? How does Apple’s issuance of bonds and buyback of its own stock impact its accounting equation?